» Midweek Nippers 2019 – Registration now open! NYC > Junior Sailing > Junior Training > Midweek Nippers 2019 – Registration now open! The sailing is done in Optimists and no boat is required. Starting on Wednesday 22nd of May for 6 weeks (until 26th June) and running from 1730 to 1930. The cost is €100 per child. 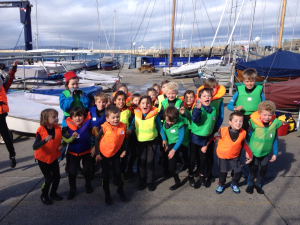 CHILDREN MUST BE AGED BETWEEN 6y AND 8y at the start of the Nippers programme!